Straight from the screen to your shelf, Gentle Giant Ltd. is proud to bring you the roguish Daryl Mini Bust. This beautiful and intricate bust is digitally sculpted and cold cast using only the highest quality synthetic polystone. 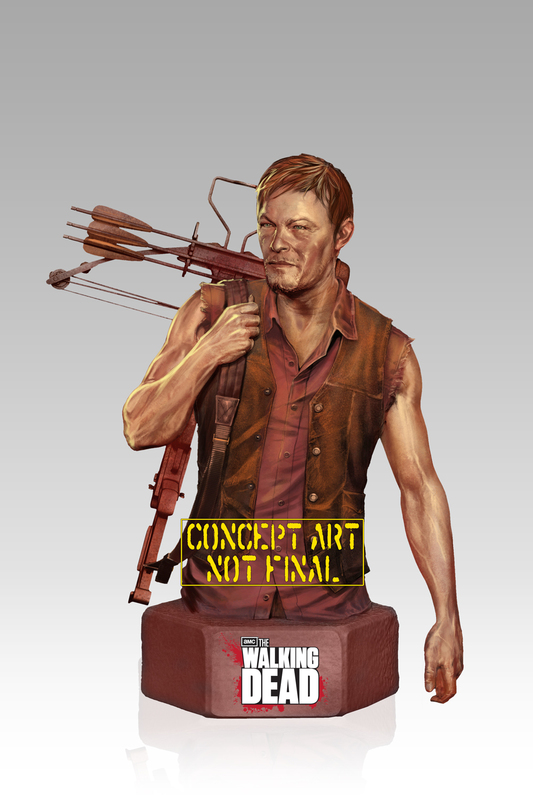 From Daryl’s signature sleeveless tee shirt to his deadly hunting crossbow, no detail has been overlooked. 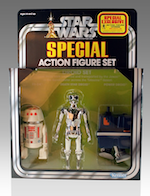 A limited edition collectable, each hand-painted bust comes individually numbered and includes a matching certificate of authenticity. 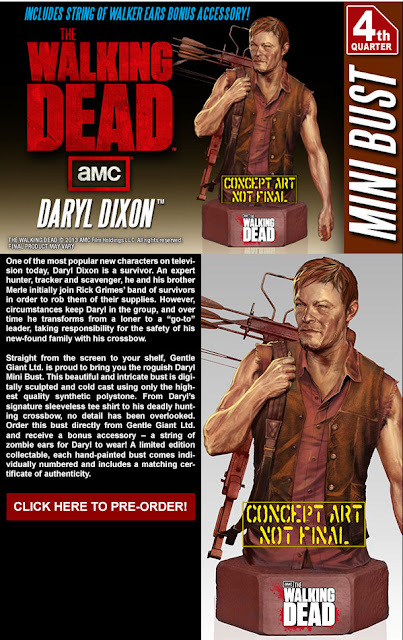 Gentle Giant has just released the Pre-order for Daryl Dixon Mini Bust and it is sure to go very quickly. 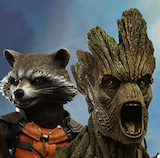 Gentle Giant is known for making incredible Star Wars, The Lord of the Rings, Harry Potter, and Marvel mini busts. With the recent The Walking Dead license, we are sure to see many more mini busts that already include Sheriff Rick Grimes and the Well Walker mini busts that are both still available for Pre-Order.